Writing a Great RésuméIt's All About the Data! There is no magic formula for crafting a great resume − It’s all about effectively presenting data. Data is defined as “facts and statistics collected together for reference or analysis.” When data is put into context it becomes information. A great resume attracts the attention of prospective employers and recruiters by effectively displaying information in a clear, concise, relevant, and powerful manner. The information within a resume must not only provide relevant key words to pass the Applicant Tracking System (ATS) test, but must also appeal to the human eye. A resume’s primary objective is to entice an HR Manager or Recruiter to reach out and contact you. Positioning a resume such that it does in fact accomplish this primary objective is not easy. The Summary section, which on a senior-level resume generally constitutes approximately 25% of the first page, is critically important in establishing the resume’s focus. It should provide the reader with a clear picture of one’s added value, dynamically communicate your record of achievement, and contain relevant key words that recruiters and HR professionals are looking for. This section must be consistent with other areas of your resume as well, especially the Professional Experience section. If, for example, you have indicated a successful history of increasing operational efficiencies while driving long-term revenue growth in your Summary, you should support it with examples in your Experience section, or run the risk of appearing inauthentic. A well written Summary can dramatically increase the odds of an electronic screening agent making a match between your resume and an open job requisition. Consistent data organization, coherent flow, readability, and great use of design elements (i.e., layout, alignment, selective bolding, font, etc.) significantly increase your odds of landing job interviews. Powerful content separates great resumes from OK or even good ones. Irrelevant information or providing too much detail should be avoided. Convey your primary responsibilities, describe your roles within each job title, and highlight your major achievements. Keep in mind that resumes are quickly glanced at for only a few seconds before decision makers determine whether or not to continue reading. If they continue, they’ll only spend about 50 seconds reading your resume, a bit longer if you are a senior-level professional. It is crucial that your resume stands out from the pack. Present the information so the reader can easily navigate through the document without losing sight of your major accomplishments. To increase a prospective employer’s interest and encourage job interview requests, showcase accomplishments and tangible results. Results are what employers are looking for, any way that helped the organization and justified your salary should be included. These might include positive contributions that saved a company money, boosted employee morale, increased profitability, improved operational performance, enhanced customer satisfaction, helped launch a product, or drove revenue. Certain fields such as sales, marketing, manufacturing, finance, and operations are very numbers-focused and should include metrics whenever possible. Display measurable highlights that provide quantitative evidence and reflect your ability to excel and deliver strong results. In summary, a resume is not read like a book − it is glanced at and then scanned if the reader is interested. Resumes should be written in verb phrases, where the subject is generally understood rather than expressed in detail; this is referred to as “tight writing”. It is unnecessary and counterproductive to use long flowing sentences. Avoid irrelevant and redundant information. Conversely, be careful not to exclude data that is relevant and enticing. When updating your resume, be sure to organize your primary responsibilities and key accomplishments beforehand. 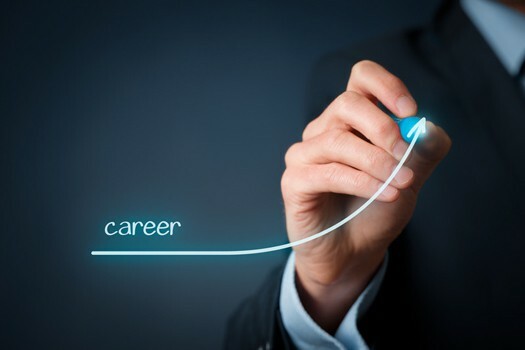 Take the time to contemplate your career history. Data is powerful when presented properly. Understanding this is paramount when crafting a great resume.